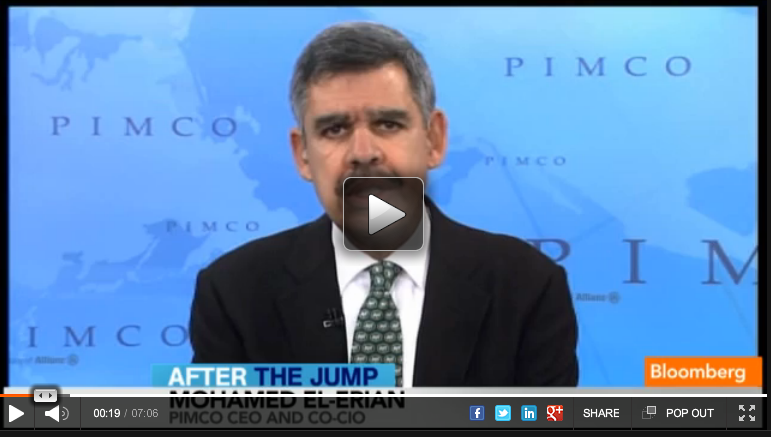 PIMCO’s Mohamed El-Erian says that if the U.S. avoids the “fiscal cliff”, he and PIMCO don’t think the U.S. will enter recession in 2013. El-Erian tells Bloomberg that he thinks we’ll continue to see sluggish growth in the 1.5% to 2% range as the economy continues to heal. “The big question for us is how effective will policy support be,” El-Erian says, explaining that he thinks Federal Reserve policy support has become less effective as time has passed.